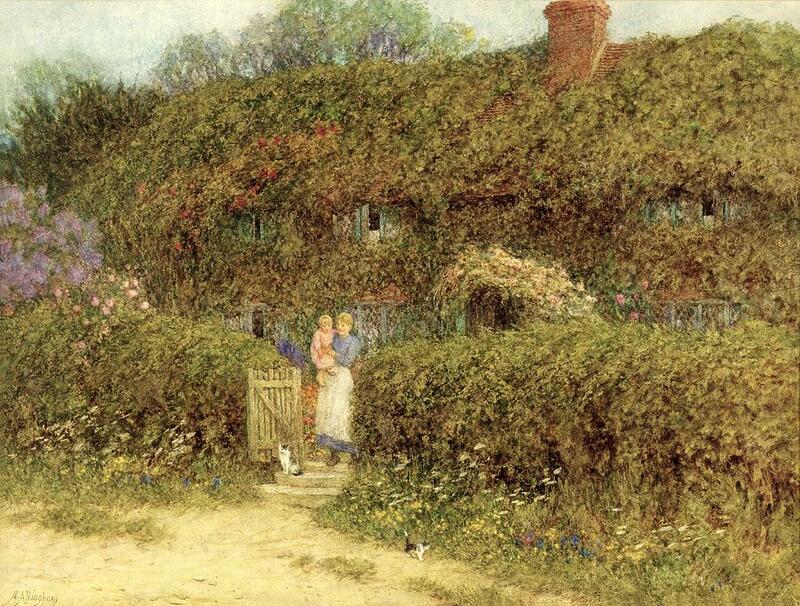 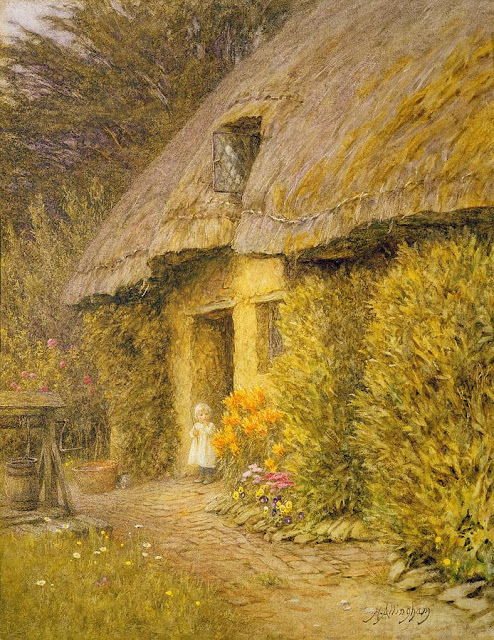 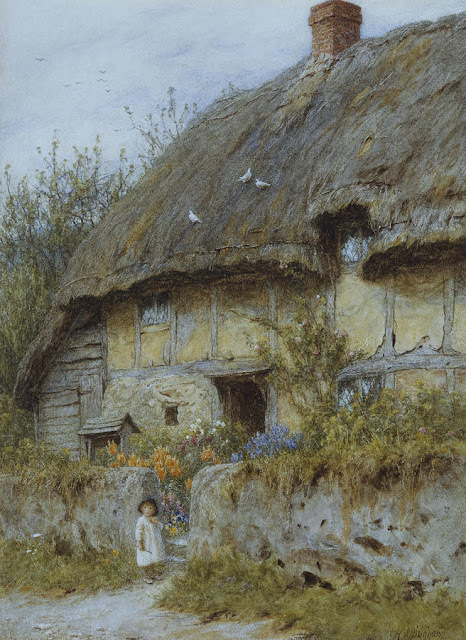 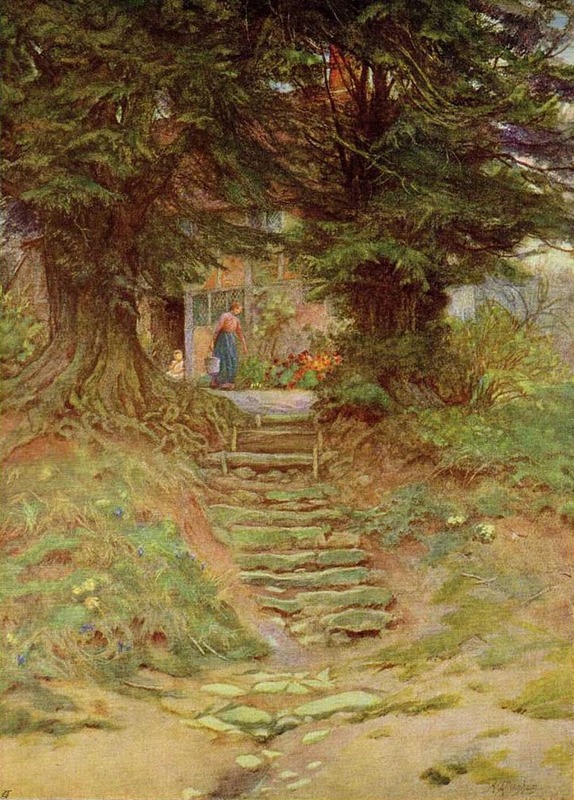 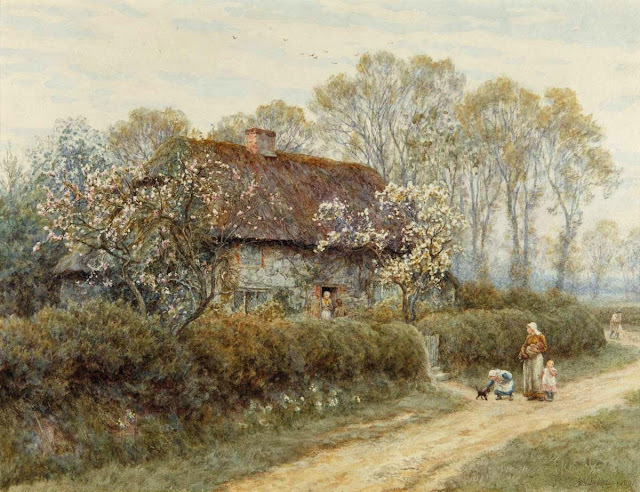 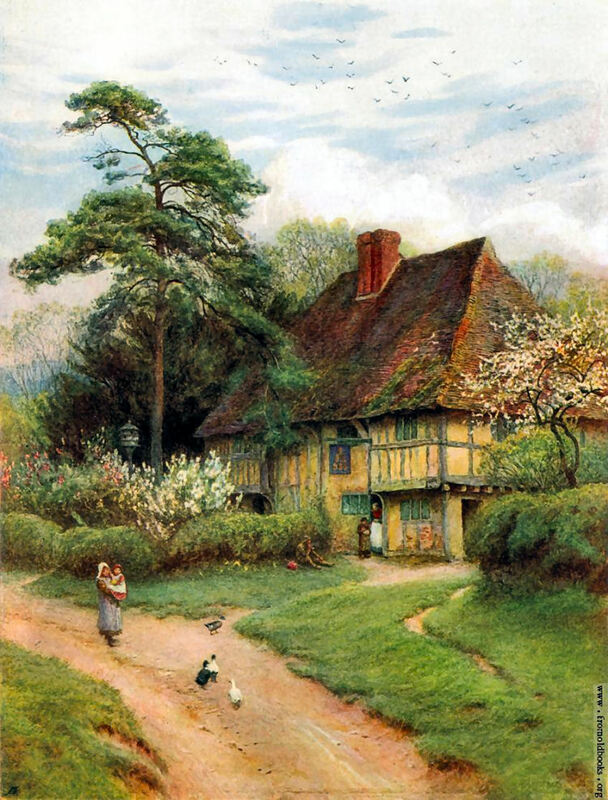 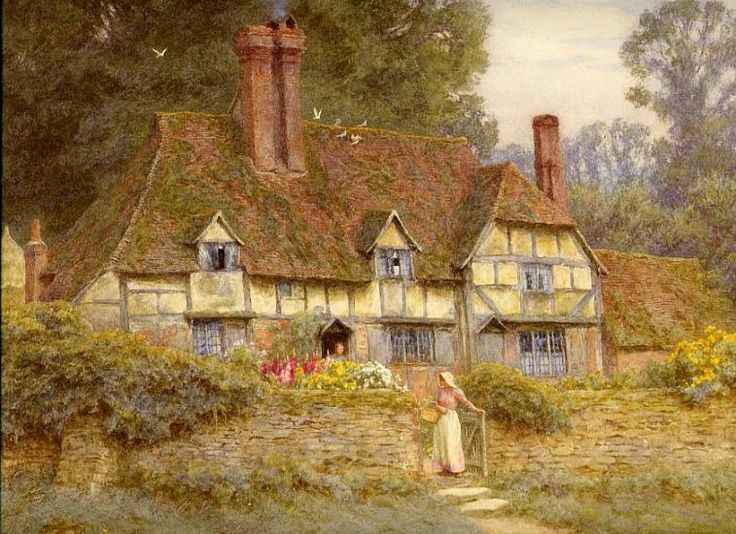 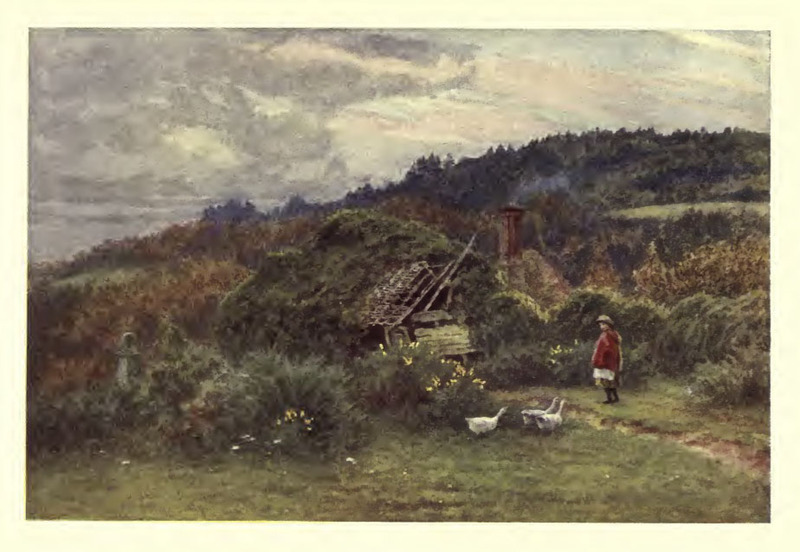 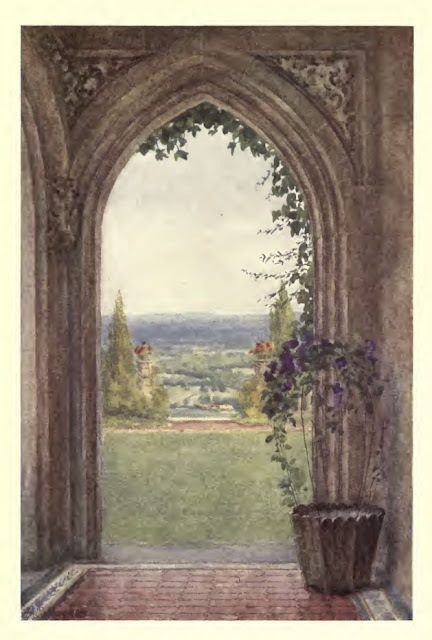 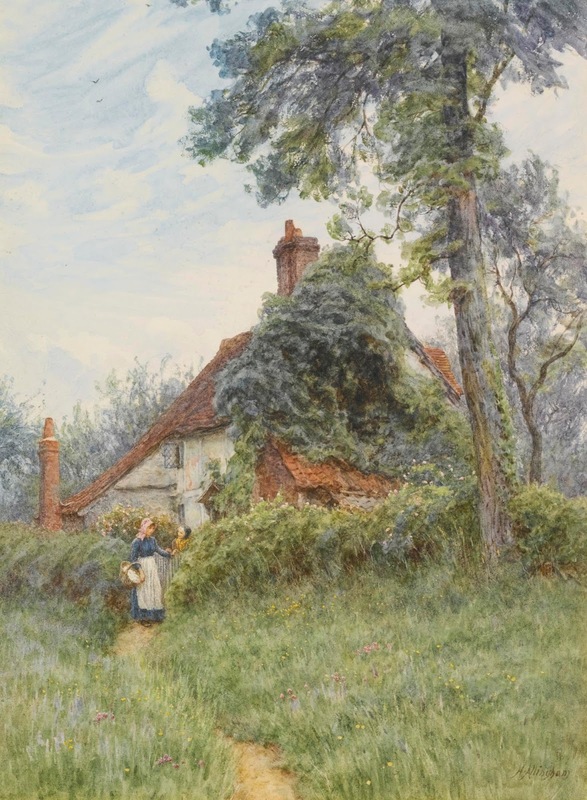 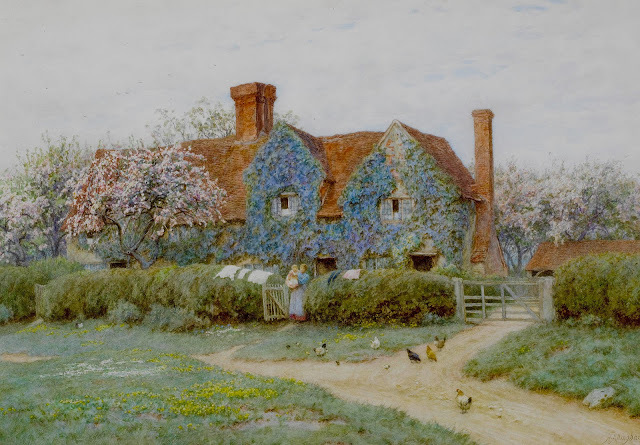 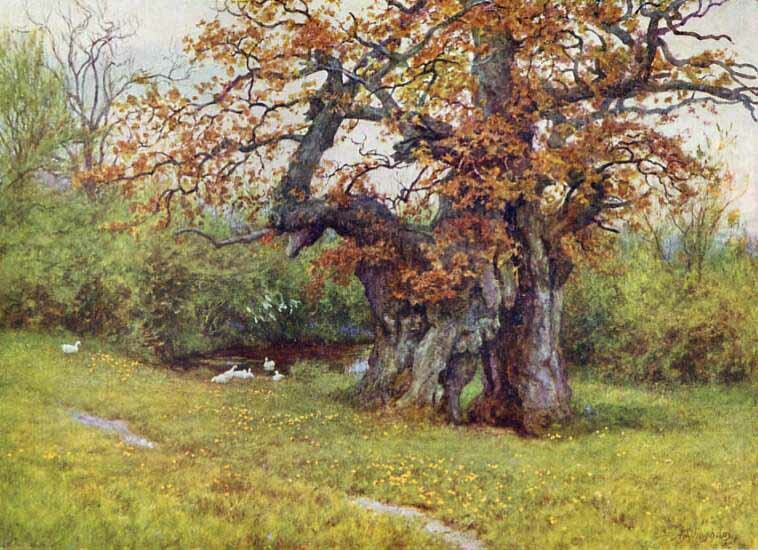 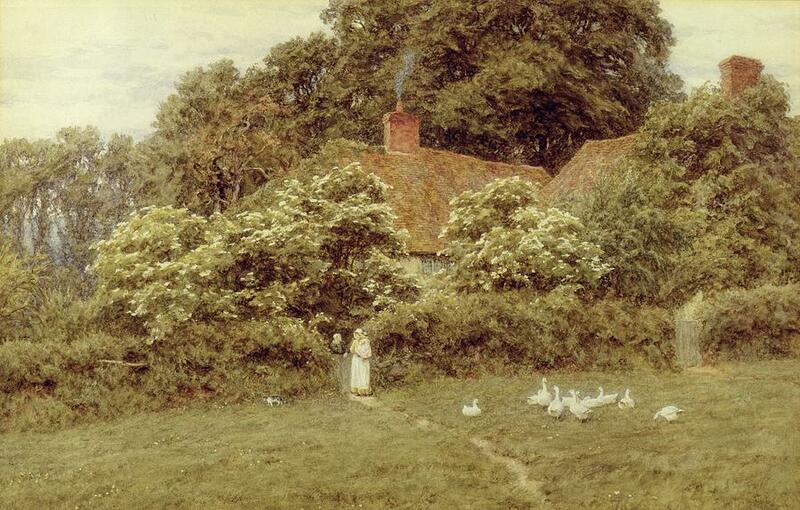 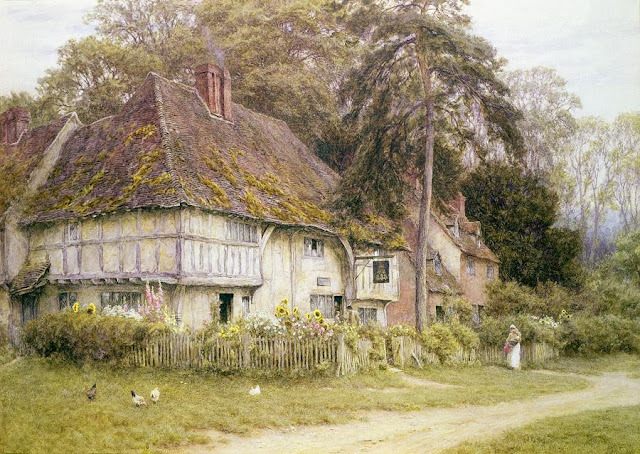 Helen Allingham (née Helen Mary Elizabeth Paterson 1848 – 1926) was an English watercolour painter and illustrator of the Victorian era. 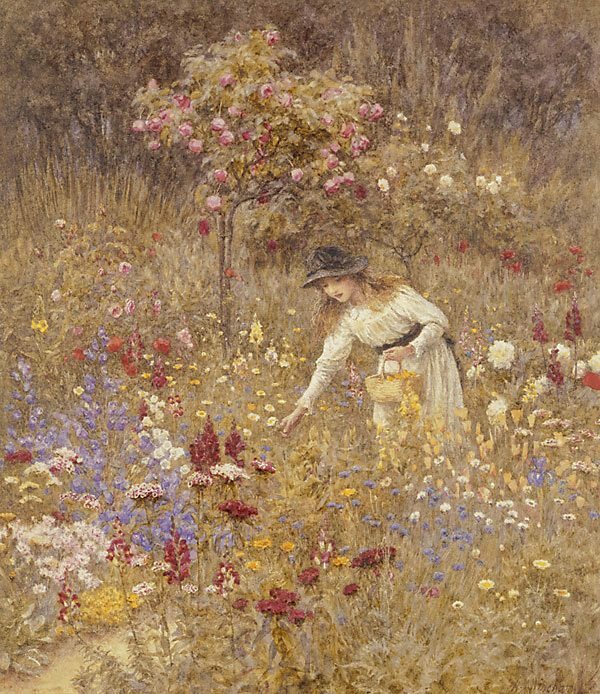 Helen Mary Elizabeth Paterson was born in 1848, at Swadlincote, Derbyshire, the daughter of Alexander Henry Paterson, a medical doctor, and Mary Herford Paterson. 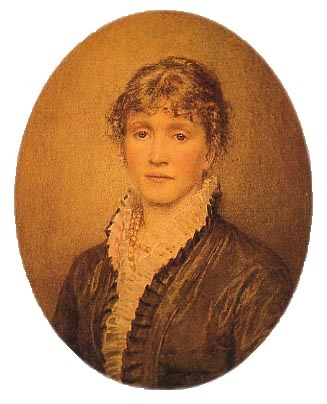 Helen Paterson was the eldest of seven children. The family moved to Altrincham in Cheshire when she was one year old. 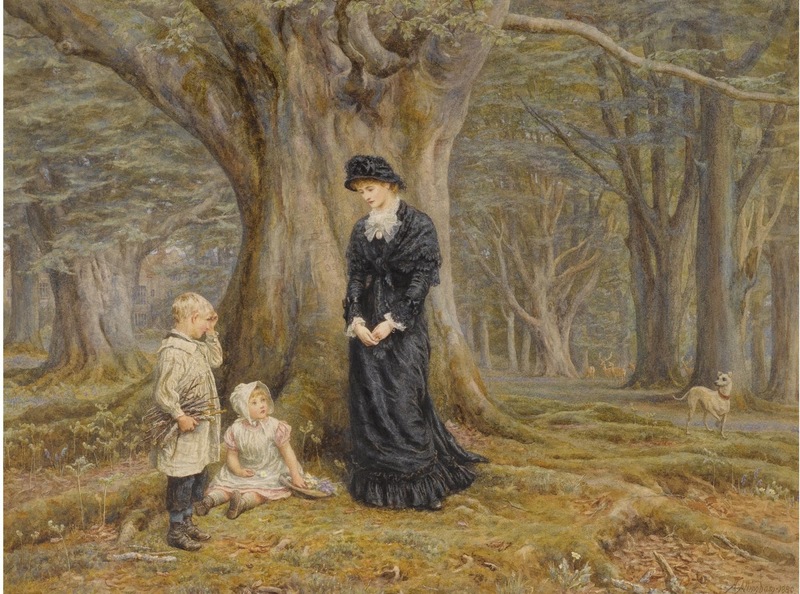 In 1862 her father and her 3-year-old sister Isabel died of diphtheria during an epidemic. 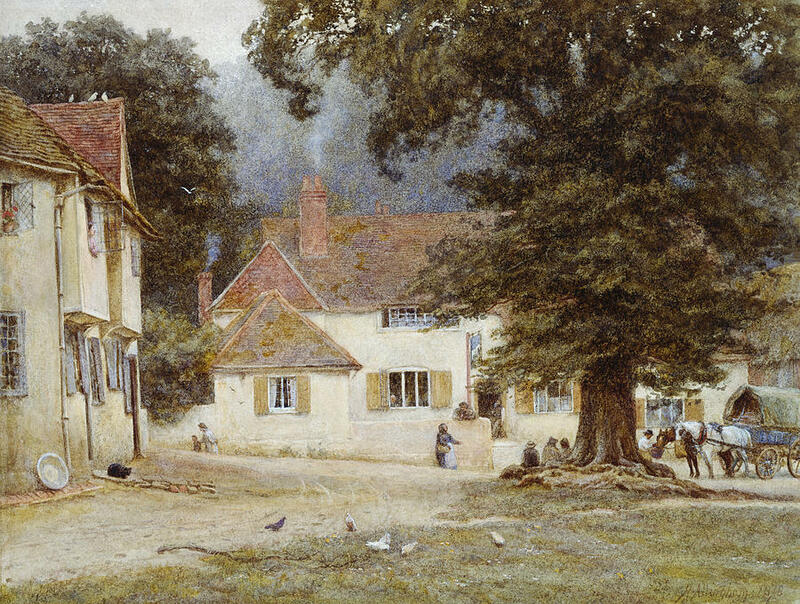 The family then moved to Birmingham where some of Alexander Paterson's family lived. 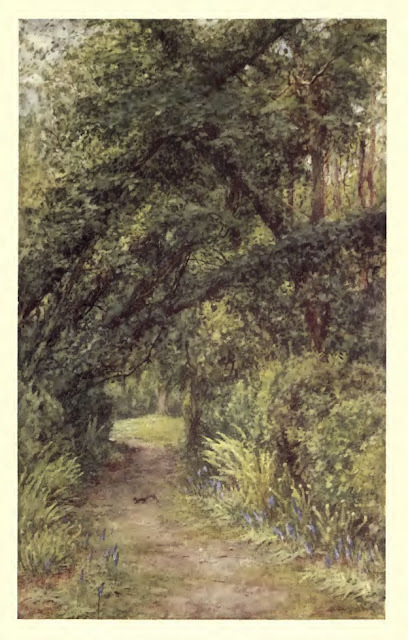 Paterson showed a talent for art from an early age, drawing some of her inspiration from her maternal grandmother Sarah Smith Herford and aunt Laura Herford, both accomplished artists of their day. 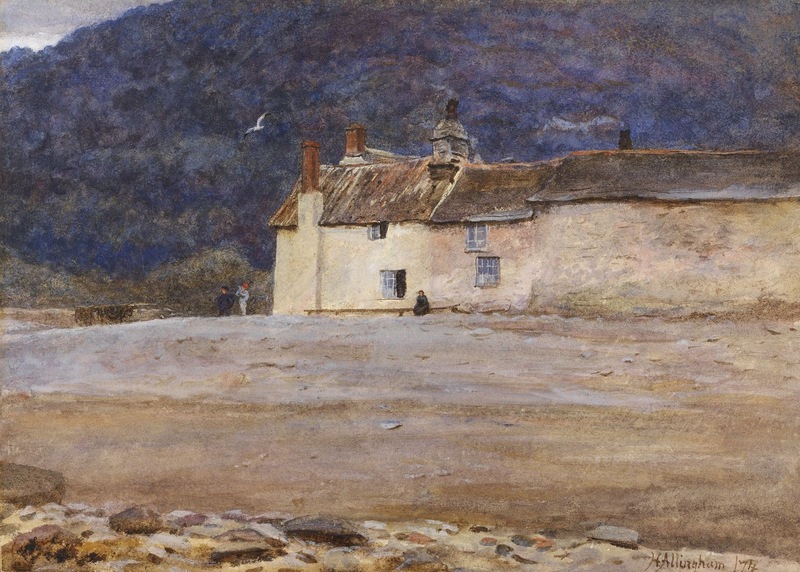 Her younger sister Caroline Paterson also became a noted artist. She initially studied art for three years at the Birmingham School of Design. 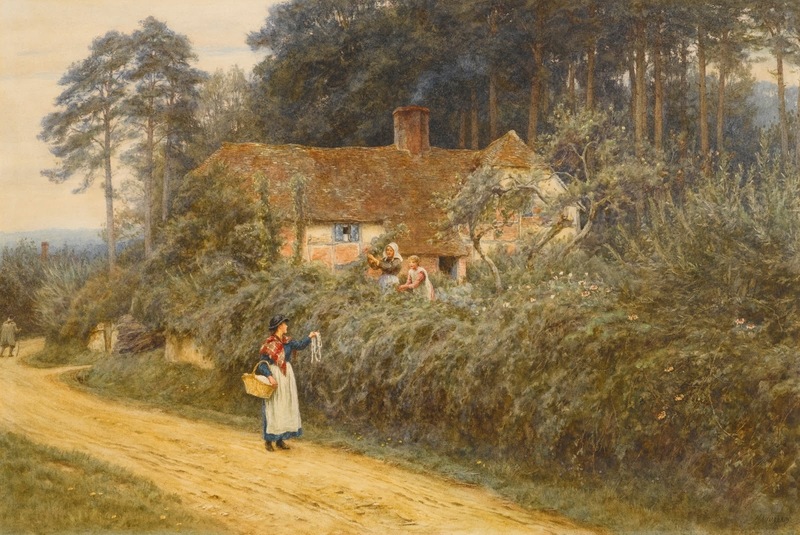 From 1867 she attended the National Art Training School in London, which had a separate division for women; her aunt Laura Herford had previously studied there. The School is presently the Royal College of Art. While studying at the National Art Training School, Paterson worked as an illustrator, eventually deciding to give up her studies in favour of a full-time career in art. She painted for children's and adult books, as well as for periodicals, including “The Graphic” newspaper. 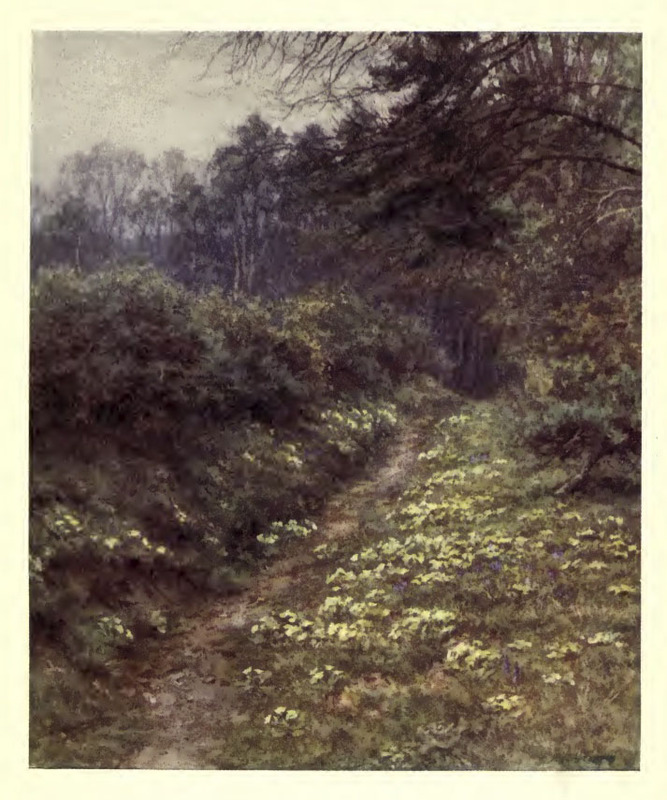 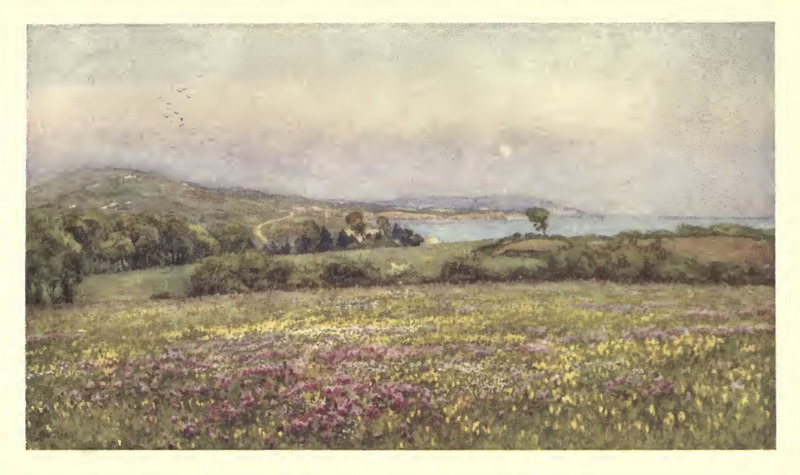 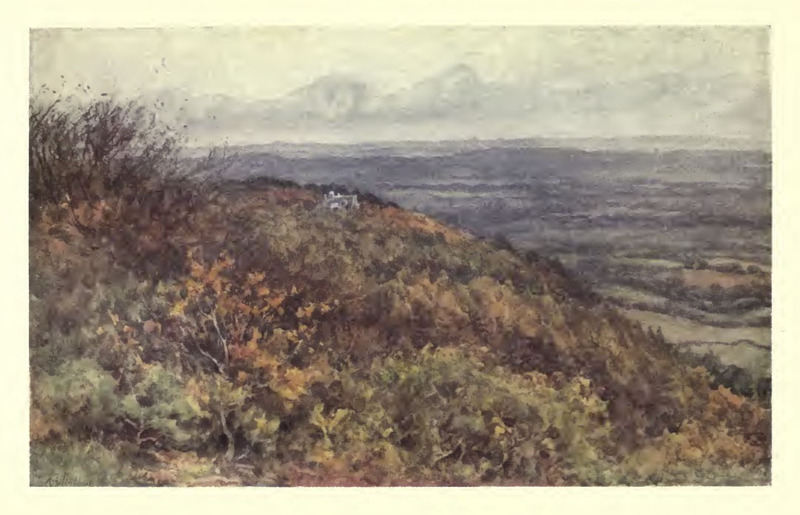 One highlight was her commission to provide twelve illustrations for the 1874 serialisation of Thomas Hardy’s novel “Far From the Madding Crowd” in Cornhill Magazine. 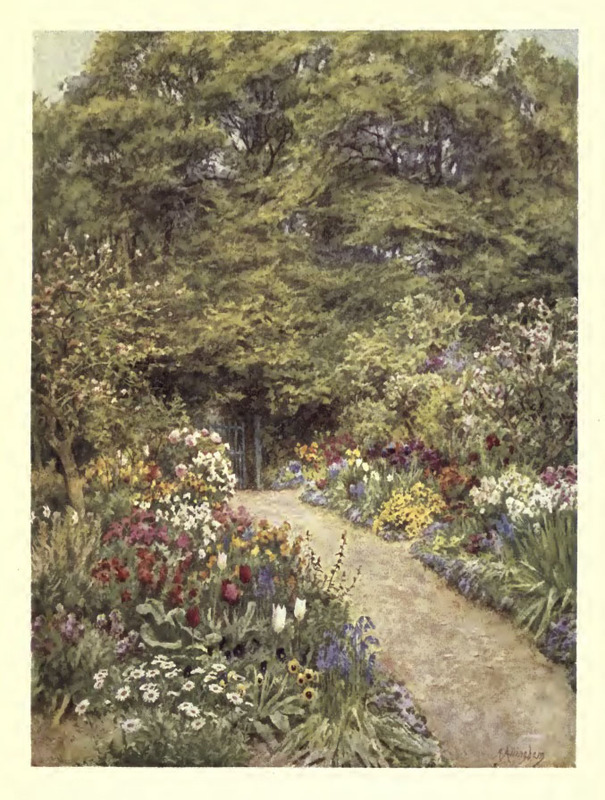 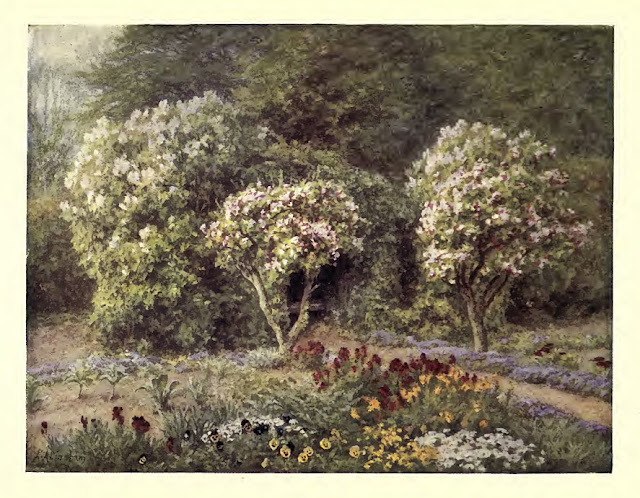 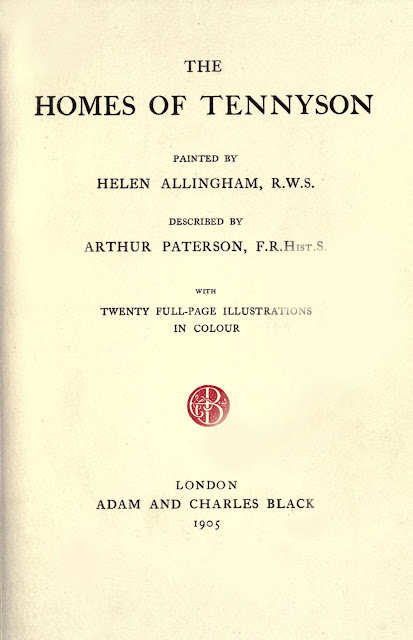 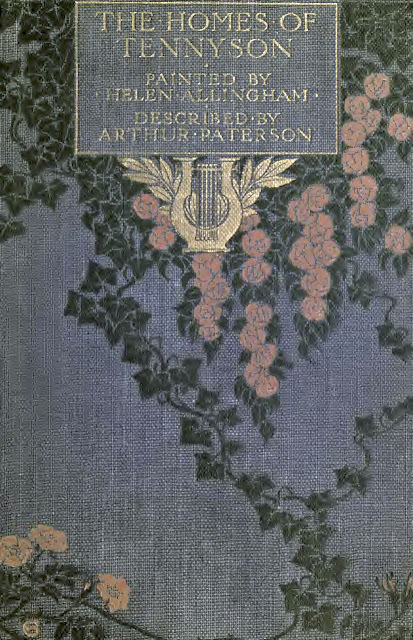 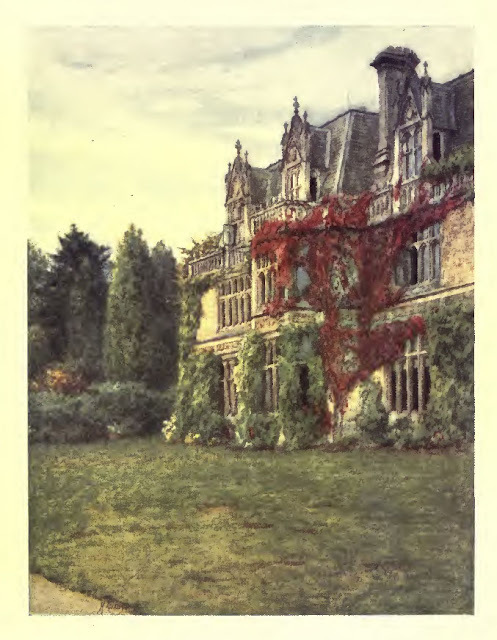 Her illustrations from this era were signed "H. Paterson". 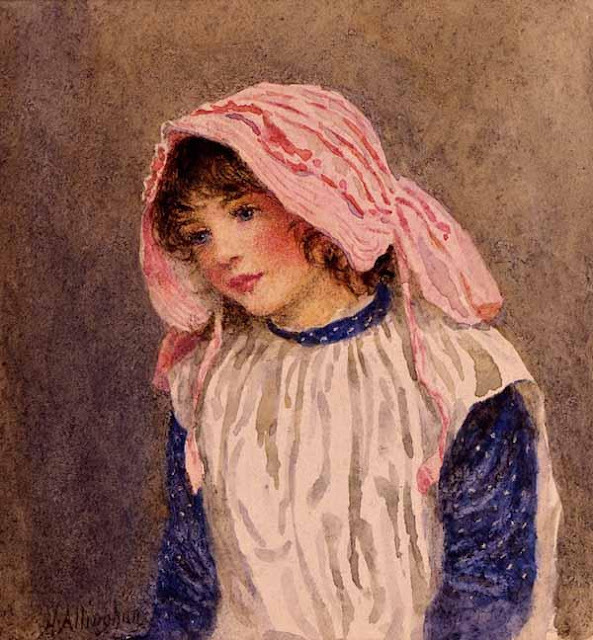 She became a lifelong friend of Kate Greenaway whom she met at evening art classes at the Slade School of Fine Art. While Vincent Van Gogh was developing as an artist by studying English illustrated journals he was apparently struck by Patterson's work in The Graphic. 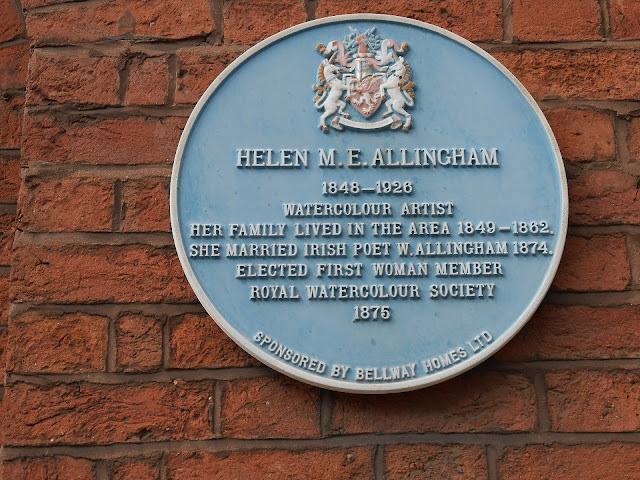 In 1874 she married William Allingham, Irish poet and editor of Fraser’s Magazine, who was almost twice her age. After her marriage she gave up her career as an illustrator and turned to watercolour painting. 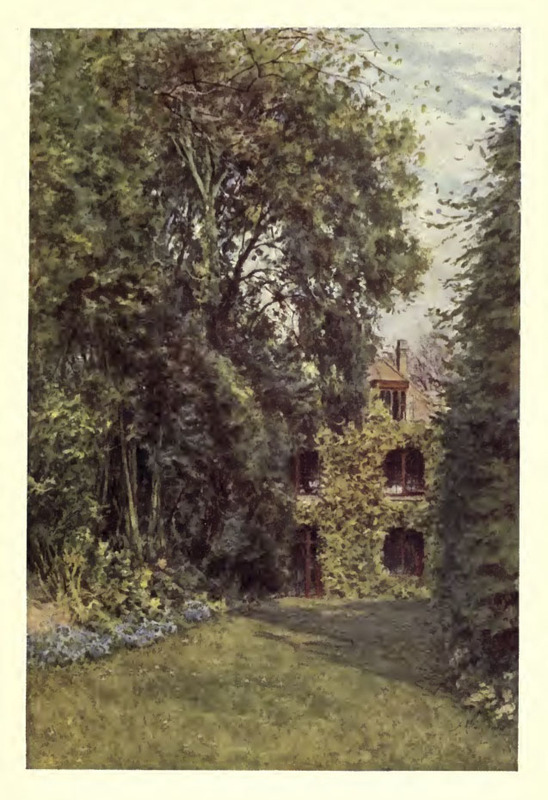 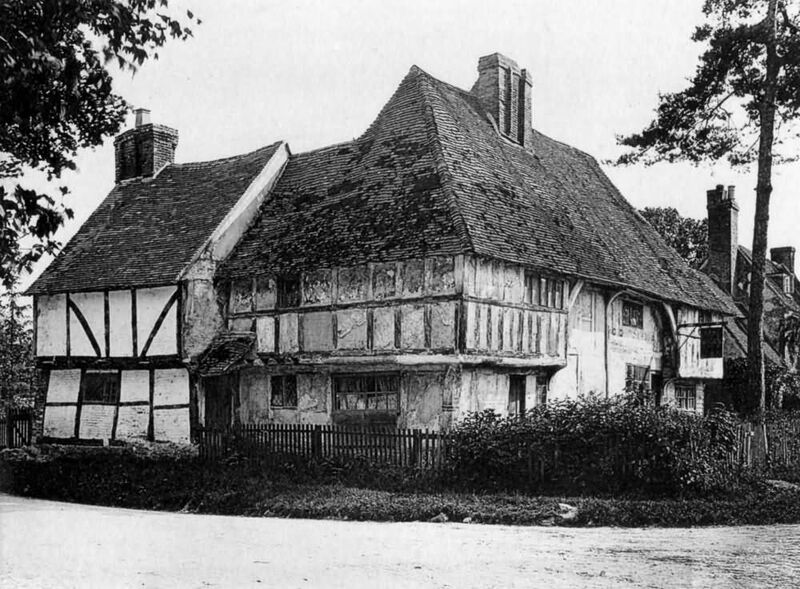 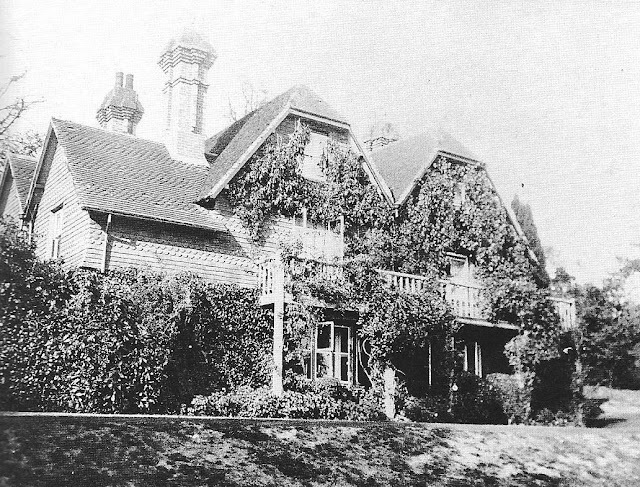 In 1881 the family moved from Chelsea to Witley in Surrey. 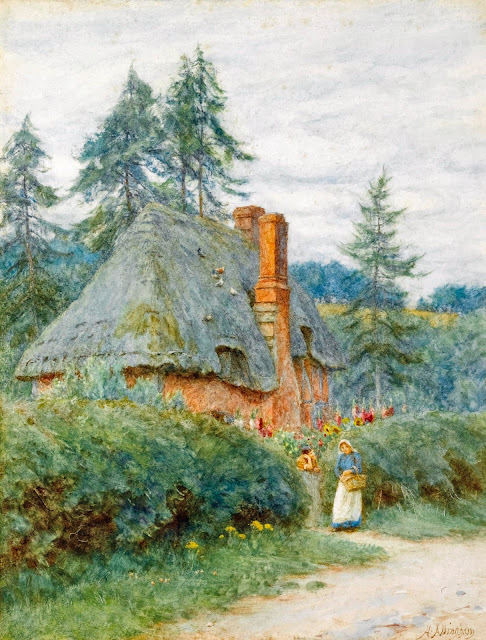 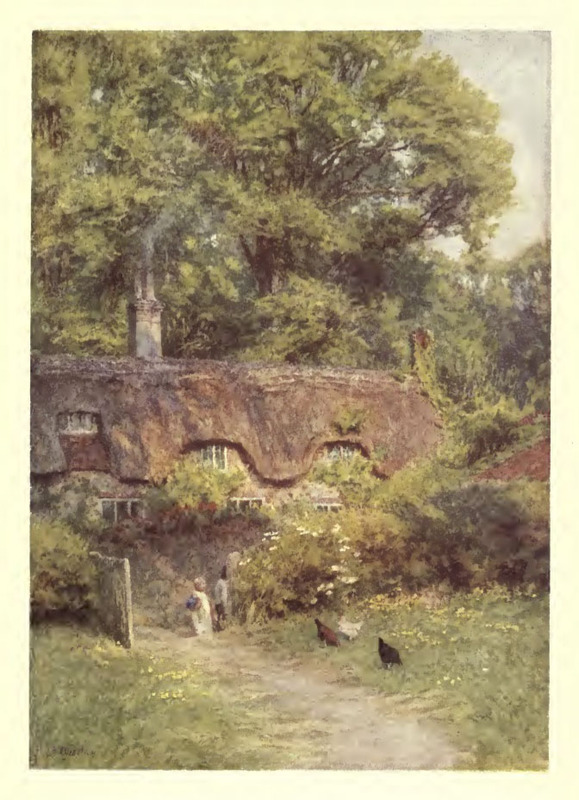 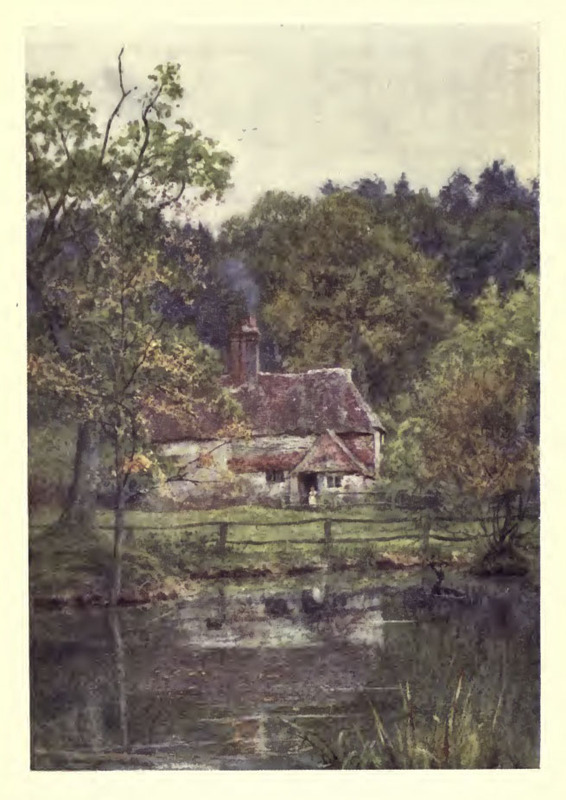 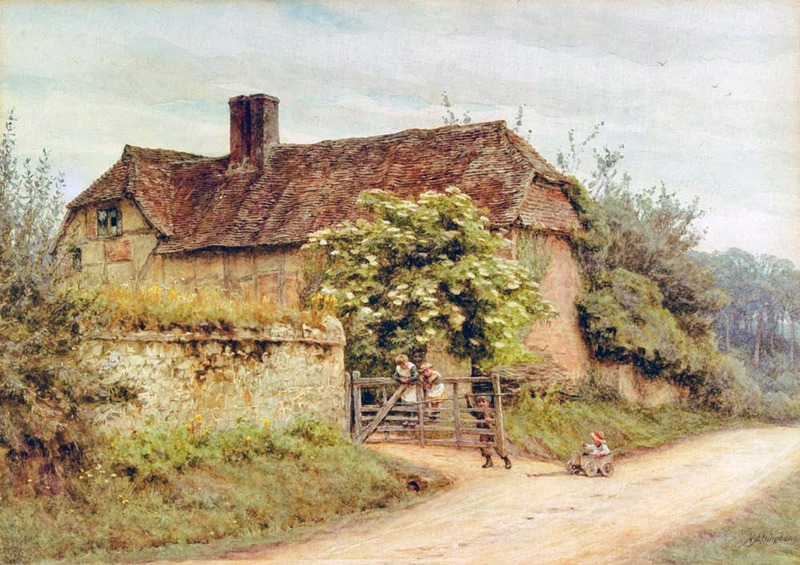 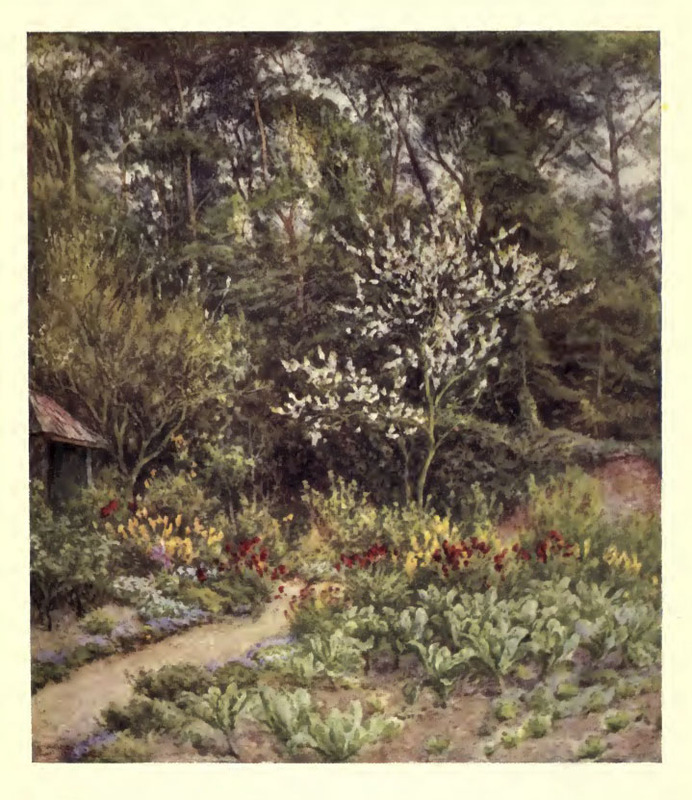 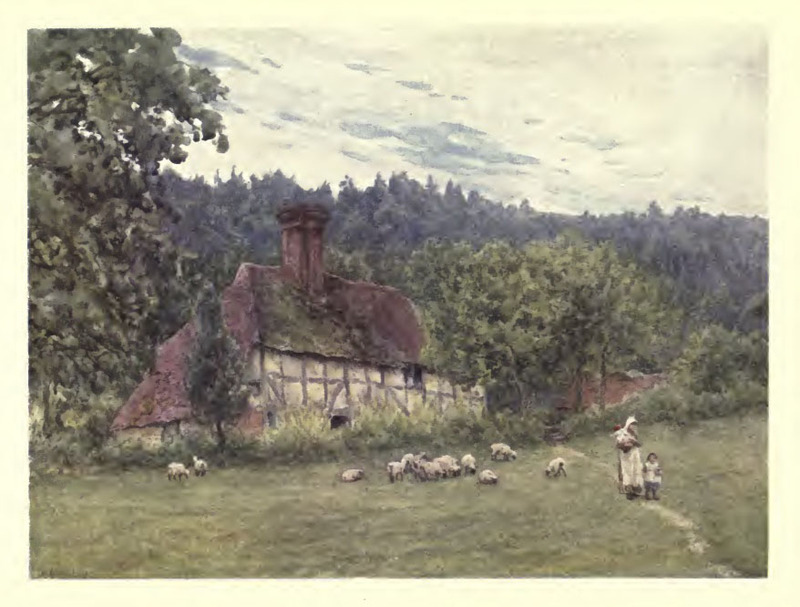 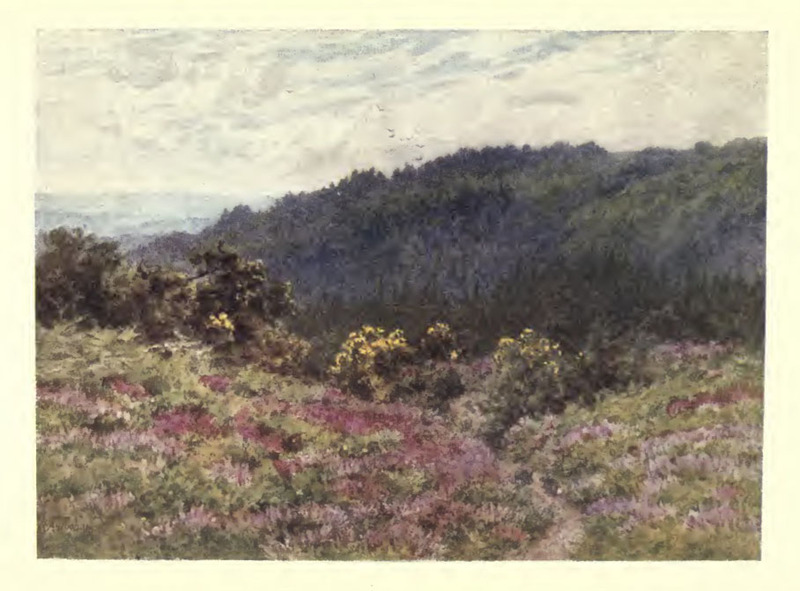 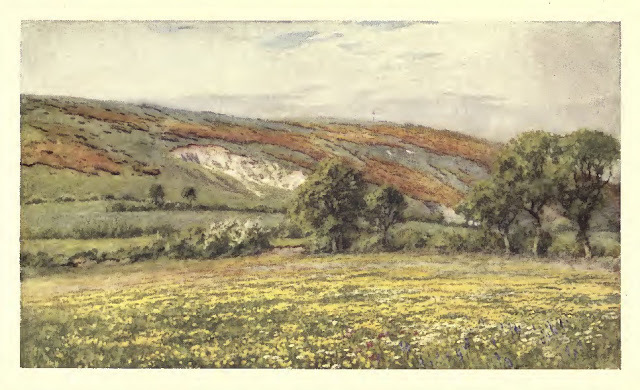 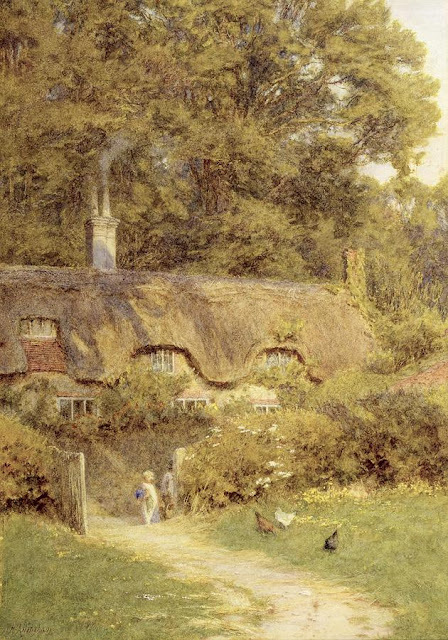 Helen started to paint the countryside and picturesque farmhouses and cottages of Surrey and Sussex, for which she became famous. 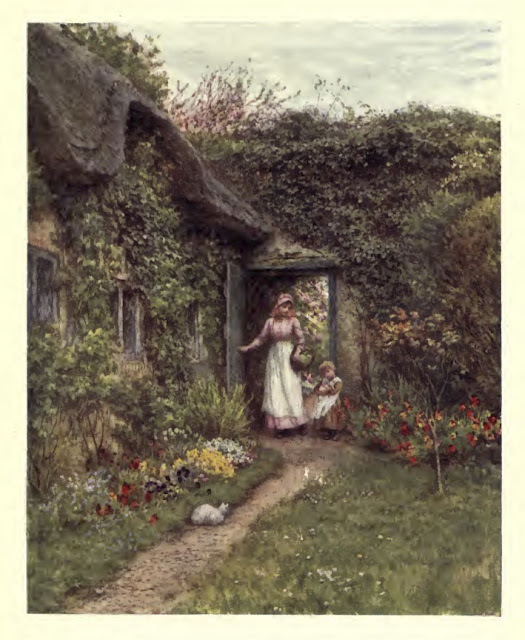 To her critics, however, despite elements of protest in “The Condemned Cottage” for example, hers was an overly sentimental, conservative vision of the area. She went on to paint rural scenes in other parts of the country, as well as Venice, Italy. 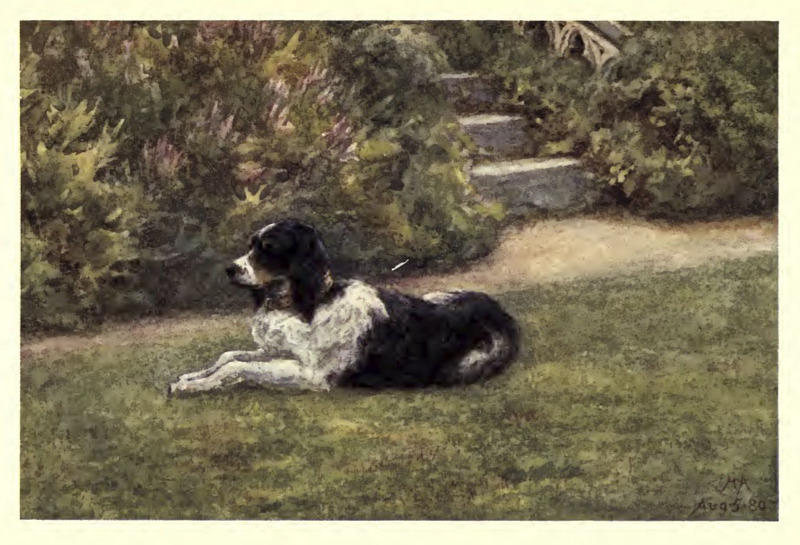 She completed several portraits, including one of Thomas Crlyle. 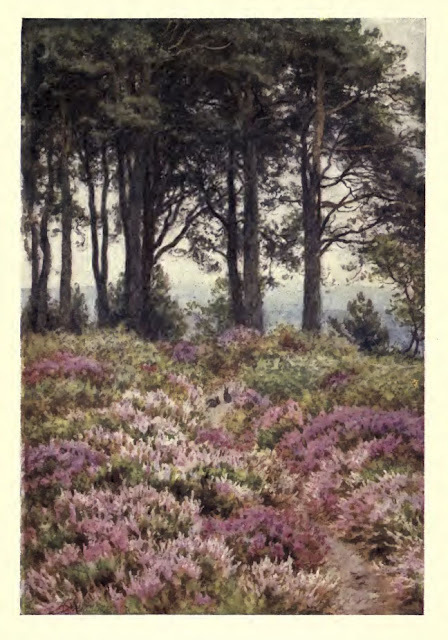 In 1890, she became the first woman to be admitted as a full member of the Royal Watercolour Society. 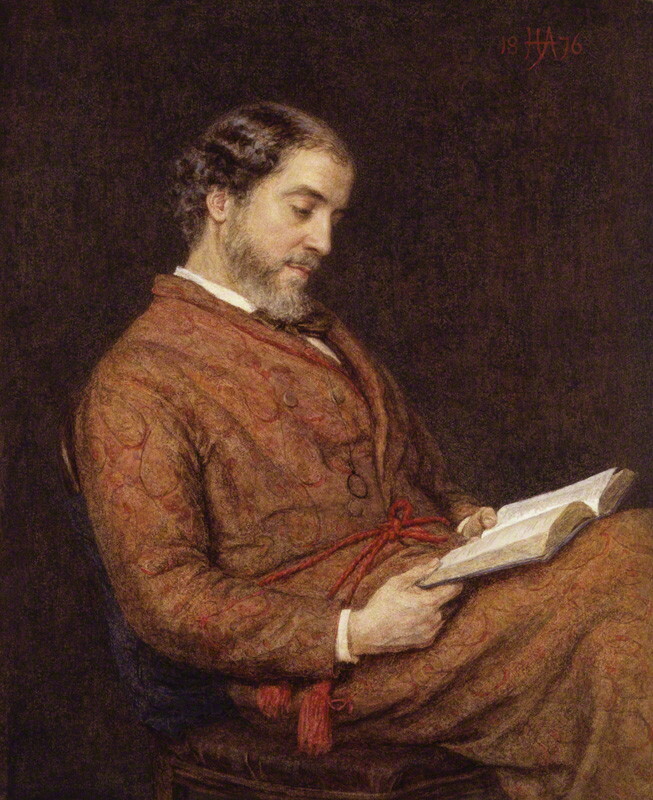 Note: From here on in this series of works is undated, and will appear in alphabetical order by title.